Grays and Torreys, Dillon Reservoir. Photo credit Greg Hobbs. Officials from CDPHE and the Environmental Protection Agency decided to move a hearing on the proposal from December 12 to November 2019, citing the need for further study of the proposed limit increase on humans and the environment. Summit County officials, while welcoming the public health’s delay in making a decision, are standing together against the proposal to allow more molybdenum in Summit’s waterways. A group of local stakeholders issued a joint statement opposing the increase before Wednesday’s hearing. Representatives from the Town of Frisco, Copper Mountain Consolidated Metropolitan District, Northwest Colorado Council of Governments, and several other local government bodies stated that Climax’s proposal carried “unacceptable levels of uncertainty and risk” to human and animal health. Lane Wyatt, co-director of the NCCG’s Water Quality/Quantity Committee, has been advising local leaders on the molybdenum issue. Wyatt believes the state is prudent in delaying its decision and welcomes Climax’s attempts to be transparent. However, Wyatt says the initial research done by independent experts have already shown that high concentrations of molybdenum pose increased risks to human health, and that is enough to consider the molybdenum increase a non-starter. Additionally, he sees Climax’s effort to get the state’s approval on increased molybdenum levels as a small foothold for its bigger ambitions to export molybdenum to other places, such as the European Union with its stricter environmental standards. Before the November 2019 hearing, the department of public heath’s water quality commission will hold other limited-scope hearings. One such hearing will take place on January 8 on whether to extend a site-specific temporary modification. The NCCG says it welcomes comments regarding molybdenum, and the public may do so by email at cdphe.wqcc@state.co.us. The commission is requesting all public input by Wednesday, Dec. 27. Jumbo Mine Cabin in-front of Adit September 25, 2017. Photo credit Environmental Protection Agency. 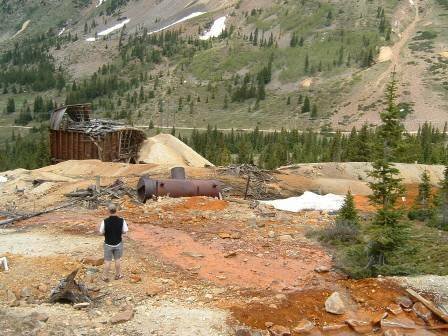 The U.S. Environmental Protection Agency (EPA) is taking immediate action to perform mine cleanup activities at the Jumbo Mine in Summit County’s Peru Creek Basin, approximately seven miles east of Keystone Resort. Jumbo Mine looking up at channel liner installation from lower middle section of waste rock pile. Photo credit Environmental Protection Agency. 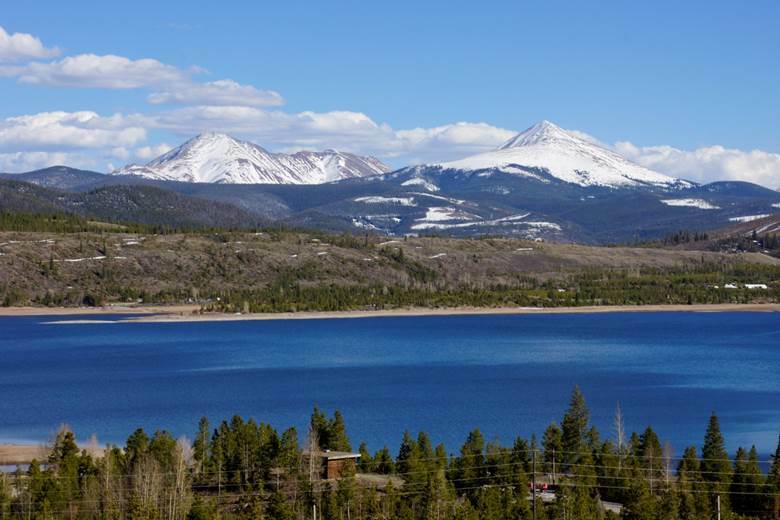 Efforts continue throughout Colorado with implementation of the one-year-old state water plan, and Summit County is trying to do its part. The Blue River itself acts as a source for drinking water and agricultural irrigation to Summit’s 29,000 year-round population, not to mention the countless visitors who spend time on the water body each year for recreation. Projections suggest the local population will increase by at least 5 percent over the next decade, meaning the need to conserve and discover additional efficiencies is one of the more painless ways to get ready for the additional ask. The statewide plan calls for 400,000 acre-feet of new storage and that same total in conservation from urban areas. An acre-foot is the U.S. standard measurement for water bodies and equates to about 326,000 gallons. Sharing 50,000 acre-feet of water possessed by agriculture based on senior rights through alternative methods is another facet of the state plan. Thus far, the execution of much of the lofty benchmarks has been sluggish, in part due to a lack of funding. It’s why obtaining dollars from the state for such municipal projects is so important. Not only does it provide capital at present while the research is done, but the initial approval also offers eligibility for future grants and loans. Without an CWCB-endorsed efficiency plan in place, funds are otherwise not available. Mimicking a model previously created by the Roaring Fork Valley, Summit’s Blue River planning enterprise is backed by Breckenridge, Frisco, Copper Mountain Metro, Dillon, Silverthorne, as well as Summit County government — “So we all have a little skin in the game, so to speak,” said Burley — with the primary objective of reducing water consumption by a measurable amount in the next few years. The consortium anticipates a 14-month investigation and review process, followed by some potential actionable items, such as leak detection and repairs, education and outdoor watering mandates, as soon as a year after that. If it’s to be successful, putting the ambitious state plan into practice will ultimately fall more on the shoulders of each local community and watershed, he added, rather than through commands dictated at the state level. And that’s a summons Summit County leadership recognizes and is attempting to embrace one year later. Many, including a wide array of environmental and conservation groups endorse the new plan, citing a balanced safeguarding of the state’s $9 billion outdoors and recreation economy with its robust agricultural industries as well as the wildlife that call Colorado’s waterways home. They say it helps lay out Colorado’s environmental and outdoor values, and the timing is key. “It’s very crucial in this moment, because it’s the best narrative of what is going on,” said Jim Pokrandt of the Colorado River District, a public water policy agency in charge of protecting the Colorado River Basin. “Water is something people take so for granted until you go to your spigot and it doesn’t come out. Pokrandt, also the chair of the Colorado Basin Roundtable and f0rmer Summit Daily editor, used the swelling weekend traffic of the I-70 mountain corridor as an analogy for this story of the West and how, similarly, increased measures will be necessary to help counterbalance an already stressed system. The state’s water network, he said, needs the liquid equivalent of traffic metering, a toll road and extra lanes bored through Veterans Memorial Tunnels, to negate the effects of earlier decisions like water-centric Kentucky bluegrass across the state’s suburban neighborhoods. The mountain communities have consistency voiced concern over additional trans-mountain diversions, taking more of that melted snowpack downstream to the state’s largest population zones, such as Denver, Aurora and Colorado Springs, that demand and require it. Before the final water plan was announced, a community group calling themselves the Citizens for Western Slope Water submitted a petition to Gov. 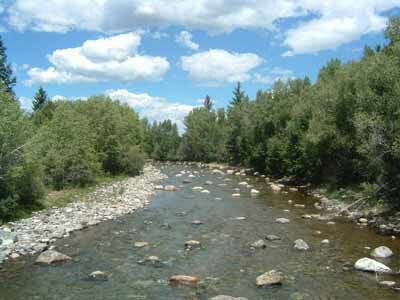 Hickerlooper with almost 15,000 signatures against any new diversions from the headwaters. Fears of doing so consist of more negative environmental impact due to the rivers being tapped further, which could affect the rafting and fishing industries, in addition to producing more strain on local farmers and ranchers. Colorado was one of the last Western states to adopt a water plan. Arizona, New Mexico, Utah, Texas and California all have one. Because Colorado’s individual municipalities are the ones that make decisions as to who gets water and how much, rather than the state itself, there is some question as to whether Colorado even needed one. Proponents call the water plan historic in its deployment, even if at this stage, it provides no big solutions and produces little more than a suggested course of action that requires prolonged implementation of its guidelines. Few argue with the intent of the policy, however, in its attempts to solidify local awareness as well extend the conversation about Western water for decades to come — a move which even the plan’s harshest critics can agree upon. 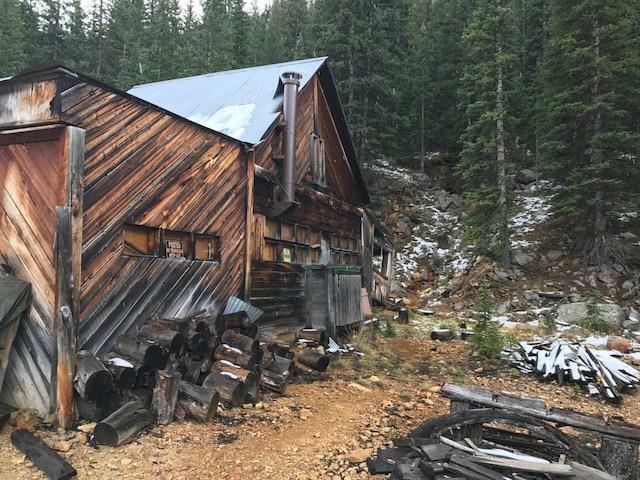 About 8 miles east of Keystone and a couple of miles south of the 14,000-foot-plus Grays and Torreys peaks, the abandoned Pennsylvania Mine is considered the worst mine in the state. The mine adds toxic heavy metal concentrations and acidifies water flowing into the Peru Creek, a tributary of the Snake River, which feeds Dillon Reservoir. A three-year, $3 million cleanup project aims to stop that pollution. The project could serve as a model for future mine reclamation efforts around the state, said Paul Peronard, on-scene coordinator for the U.S. Environmental Protection Agency. 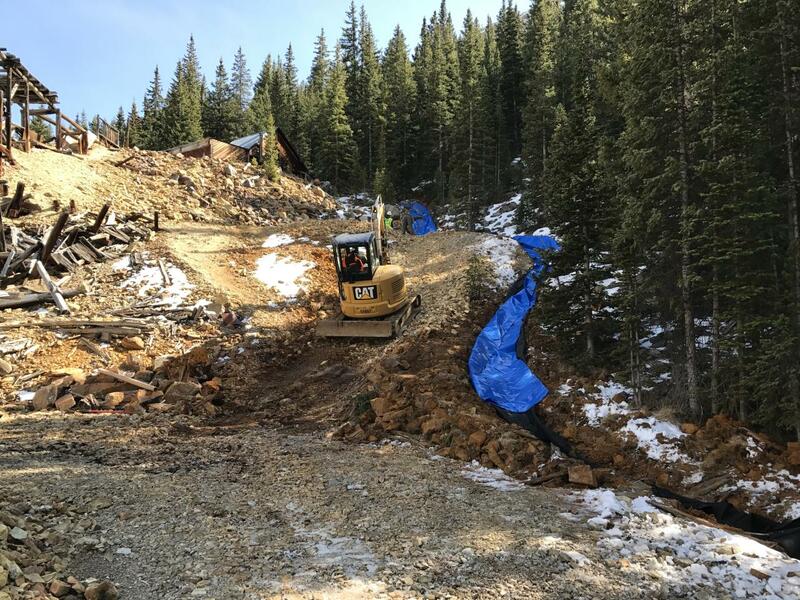 The collaborative effort is currently under budget and ahead of schedule, he said, even with the added cost of helping Summit County fix the part of Montezuma Road that washed away in early June. “This is very much a huge partnership,” said Jeff Graves, senior project manager with the Colorado Division of Reclamation, Mining and Safety. For decades, government agencies and other interested parties faced issues of liability and funding when trying to tackle the mine’s cleanup. This year the state is working to place one of two bulkheads, or giant concrete plugs, about 500 feet inside the mine. The bulkheads will block water from leaving through one large entry and stop water from flowing freely through the mine, Graves said. More Blue River watershed coverage here. The Colorado River System Conservation program is an effort to address a long-term imbalance on the Colorado River caused by years of drought and water demands that exceed supply. Denver Water, Central Arizona Project, the Metropolitan Water District of Southern California and Southern Nevada Water Authority each contributed $2 million and the U.S. Bureau of Reclamation pitched in $3 million to create an $11 million fund for Colorado River water conservation pilot projects. “Summit County has a huge stake in this with Denver Water,” said Jim Lochhead, Denver Water CEO. The county is a headwaters community for the Colorado River, and Lochhead said Summit shares a common interest with the utility in water conservation and in meeting collective obligations to the people and ecosystems down river. That has a host of consequences for communities up river from the lake, including increased energy bills due to less productive hydroelectric power plants, reduced agricultural output, diminished snowmaking capabilities at ski resorts, water quality issues and loss of funding for protections under the federal Endangered Species Act of 1973. 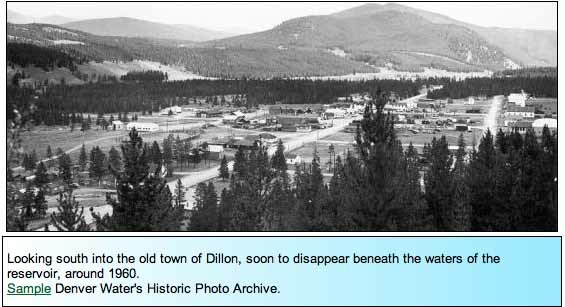 Summit County especially would see the effects in Dillon Reservoir, which Denver Water constructed in 1963 to supply its customers in the Denver metro area. The program’s pilot projects will include residential and industrial water conservation programs and in the agricultural sector, something called “temporary compensated borrowing,” which Lochhead said would pay farmers not to irrigate or to irrigate less than they were. The pilot projects are in the planning stages but should start next year, he said, and the two-year program will fund them into 2016. Successful ideas could then be expanded or extended. To ensure that local concerns are addressed and that there is equity and fairness among all parties, the Bureau of Reclamation will manage the conservation actions in the Lower Colorado River Basin states of Arizona, California and Nevada in a manner consistent with past programs. In the Upper Basin, the states of Colorado, New Mexico, Utah and Wyoming and the Upper Colorado River Commission will have a direct role in program efforts. Denver Water plans to do a broad outreach program and partner with agricultural and environmental groups, Lochhead said. After back to back drought years, Dillon Reservoir is about nine to ten feet below average for this time of year. That’s where the interests of Denver Water and the town of Frisco play out. Dillon is both the largest reservoir in the Denver Water system and a major economic driver for Frisco. During the summer, the marina provides a substantial boost to Frisco’s economy, accounting for a third of the town’s tourism. A stylized sailboat adorns each street sign in downtown Frisco. It’s a relationship that’s part of their identity; a sail boat is etched on the town logo. The issue? Frisco doesn’t own any of the water they rely on so much. It belongs to Denver Water and the on-going demands of Front Range water users. More Blue River Watershed coverage here and here.